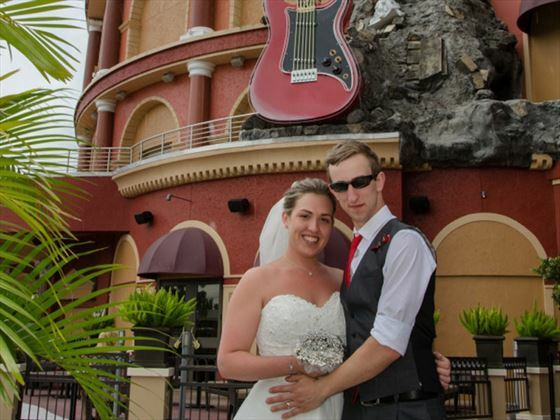 Exclusive use of the Lennon Suite for 2 hour total use (No confetti is permitted at this location). 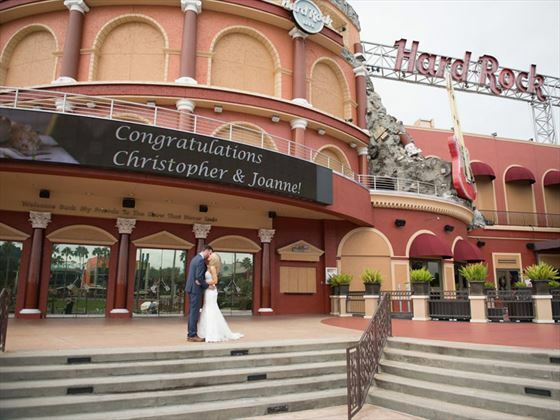 You can choose from having your wedding outside on the terrace overlooking Universal Orlando and City Walk or you can have it inside then John Lennon Suite itself. It is a replica of his Manhattan Apartment. Follow the ceremony we can do with cake and champagne toast and some unique photography in and around the cafe. 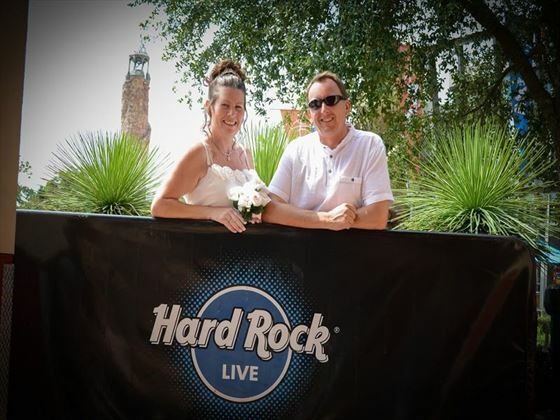 Weddings performed Monday - Thursday 10am, 11am and Noon on the John Lennon Terrace. January - June & September - April. 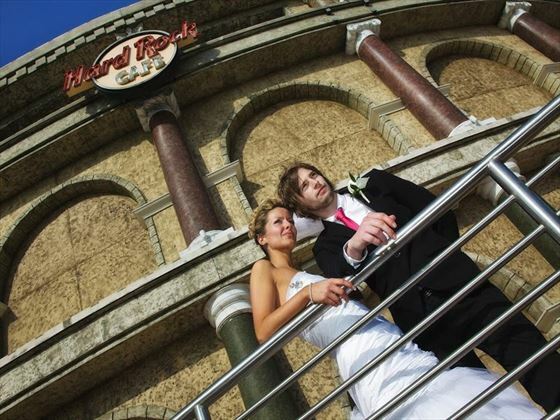 July and August we offer weddings inside the John Lenon Room only - due to the heat. 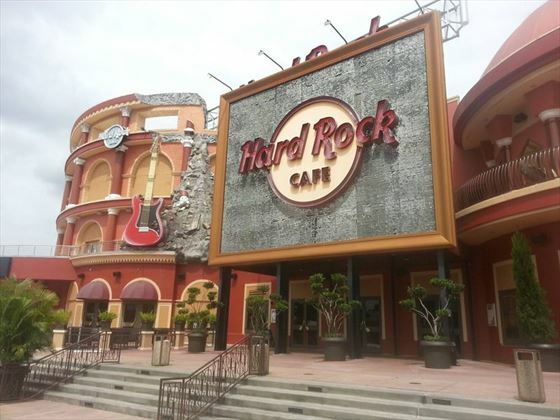 There are no parking facilities at the Hard Rock Cafe. 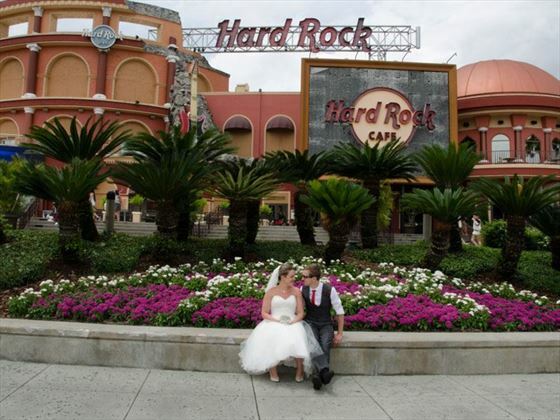 Couples should either arrive by taxi or limo and be dropped at Celebrity Circle (nearest drop off to Universal and Hard Rock Café) or park in the main Universal Parking Garage and walk over to the Hard Rock Cafe. 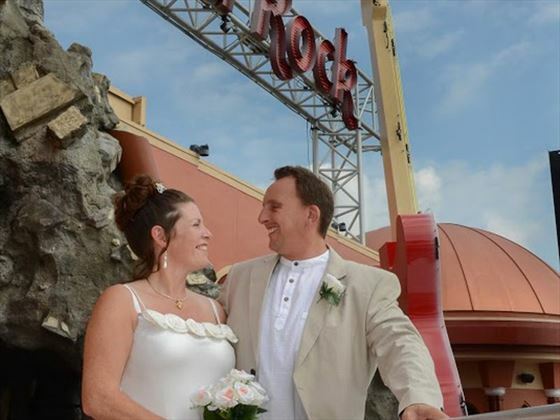 Our packages are designed for up to 25 people (over 15 people please add a further $20.00 per person - this covers seating and a glass of champagne). Exclusive use of the Lennon Suite for 2 hour total use (1/2 hour each end for set up and clean up). 1 hour ceremony.